Public information films (aka PIFs) are a series of government commissioned short films, shown during television advertising breaks in the UK. The US equivalent is the public service announcements (PSAs). The films advised the public on what to do in a multitude of situations ranging from crossing the road to surviving a nuclear attack. They are sometimes thought to only concern topics related to safety, but there are PIFs on many other subjects, including animal cruelty, protecting the environment, crime prevention and how to vote in an election or fill in a census form. None are more fixed in the public consciousness of a generation than those from the 1970's aimed at children and in particular the iconic "Charley Says" series. Further credence was given to the Charley series in 2005 when it was voted 95th on the UK Channel 4 TV special 100 Greatest Cartoons. In a recent poll conducted by the BBC News Website in association with The National Archives and The Central Office of Information (COI), the Charley cartoons were voted The Nation’s Favourite Public Information Film. Most of the topics dealt with everyday safety issues children face, such as not going off with strangers or not playing with matches. 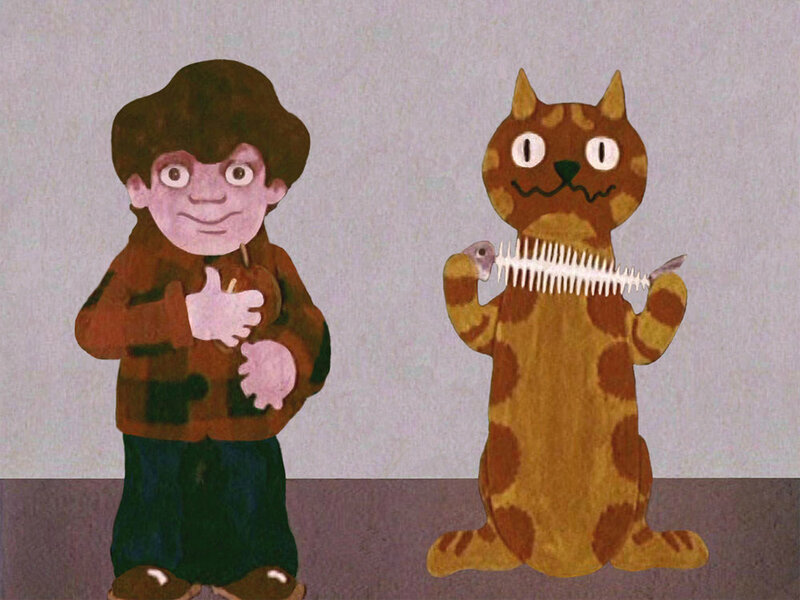 They featured a little boy called Tony (voiced by the seven-year-old son of one of the neighbours of producer Richard Taylor) and his cat, named Charley, voiced by Kenny Everett, who would "miaow" the lesson of the episode, which the boy would then translate and explain. Often Charley served as the boy's conscience and when Charley and the boy did the right thing, they were rewarded with something for the boy and a fish for Charley, which he ate rapidly. However, on other occasions, Charley suffered the consequences of doing the wrong thing (e.g., in Charley's Tea Party he pulled a tablecloth and a teapot fell on him and scalded him). As mentioned earlier the films were produced by Richard Taylor Cartoons who also produced Crystal Tipps and Alistair. They also produced the controversial Protect and Survive series, narrated by Shakespearean actor Patrick Allen.